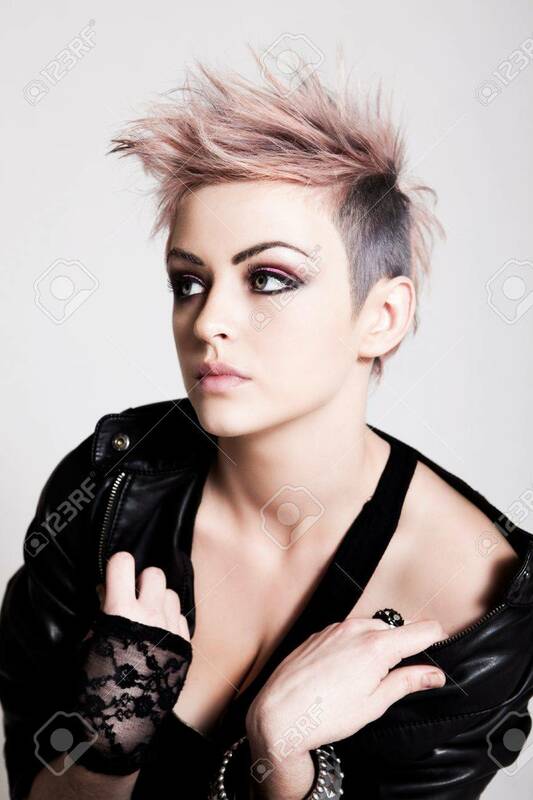 An Attractive Young Woman With Pink Hair Wearing A Leather Jacket.. Stock Photo, Picture And Royalty Free Image. Image 9309733. Stock Photo - An attractive young woman with pink hair wearing a leather jacket and lace glove. Vertical shot. An attractive young woman with pink hair wearing a leather jacket and lace glove. Vertical shot.